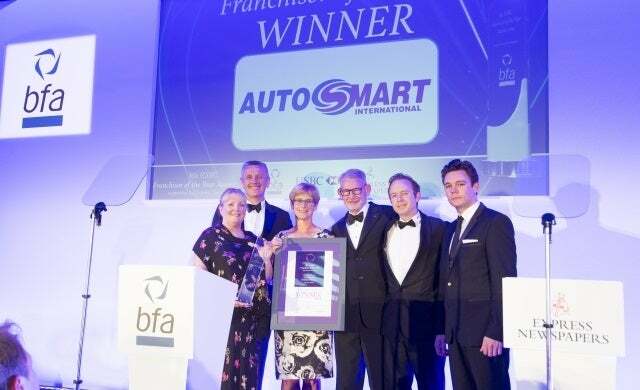 The British Franchise Association (bfa) held its 25th annual Franchisor of the Year awards last night, naming business-to-business vehicle cleaning products franchise Autosmart as the winner of the overall accolade. Autosmart saw off 19 other nominated franchises to clinch the overall prize, receiving a further boost when it was also announced as the Franchisee Recruitment Award category winner. Founded in 1979, the franchise develops and manufactures a range of vehicle cleaning products targeted at commercial customers, distributing them through an international network of franchisees. The bfa said Autosmart won the Franchisee of the Year award in recognition of its growth strategy that has seen the company increase sales by 36% since 2008 in a challenging market, and the Recruitment Award due to its commitment to the “highest ethical standards” of franchisee recruitment. Held at Heythrop Park in Oxfordshire, last night’s awards also saw the addition of new categories to reflect what the bfa termed the “diversity” of franchising in the UK. Category winners were drawn from a range of sectors, including cleaning products, home-based care, and education. Michelle Williams, franchise director at Franchisor of the Year winner Autosmart, said: “Receiving our fifth and sixth bfa awards since 2008 means so much to us and our network of franchisees. “We have been working very hard for the past year on maintaining our high standards, whilst driving sales and putting franchisee profitability at the heart of everything we do. Brian Smart, director general of the bfa, said: “Over 25 years, we have seen the nation’s finest franchisors honoured at these awards. “This year’s entries continued that fine tradition by showcasing an overwhelming level of commitment, drive and diversity.